Pamela Monk Kelley: "We need to learn more about our history.” Lucy Gellman Photo. This winter, you might not notice the specter of Reverend Luther Tallance Thomas hanging over the snowy intersection of Columbus Avenue and White Streets. A year from now, you won’t be able to miss it. That vision comes from Pamela Monk Kelley, a history teacher at Riverside Education Academy who is working to mount new “local history” banners to six intersections in the city. A lifelong resident of New Haven’s Hill neighborhood, Monk presented that idea Tuesday night to the Hill North Community Management Team. The meeting was held in its regular spot at Hill Regional Career High School on Legion Avenue. If funded, the $4,200 project will come out of the Management Team’s Neighborhood Public Improvement Program (NPIP) money, provided by blight-busting city agency the Livable City Initiative. Kelley has partnered with New Haven based Strong Cohen LLC for the project, which has estimated a cost of $700 per 16-by-18 inch banner, including design and fabrication. Kelley said the city has pledged to cover the additional cost of installation. Monk said she was inspired by a banner and portrait at Elsie Cofield Way, memorializing AIDS activist and warrior Elsie Cofield in the city’s Dwight Neighborhood. Anchored on a pole by the intersection of Chapel and Day Streets, the banner comprises a paragraph with Cofield’s career and legacy, with a silkscreen of her color portrait at the bottom. Cofield Way in summer 2017. Google maps. But the banner project is also personal: Kelley is a family historian, and can trace New Haven family ties to the jazz musician Thelonious Monk and football player Art Monk. There’s a Monk Crossroads in the Hill, where the family resides, that goes virtually unrecognized in its current state. To get the project off the ground, Kelley has targeted six intersections in the city’s Hill neighborhood. They are Columbus Avenue and White Street (Reverend Luther Tallance Thomas Way); Ann and Kosuth Streets (Catherine Sutton Dawson Way); Congress Avenue and Arch Street (Samuel D. Foster Corner); Columbus Avenue and Arch Street (Rev. Juan Martinez & Persida Sein Pl. ); Congress Avenue and Hallock Street (Bishop Clinton and Pastor Julia McCarter Corner); and Cedar and Amistad Streets (Monk Crossroads). Like the legacy of Rev. Luther Tallence Thomas, who founded Thomas Chapel at 30 White Street in 1948. After Thomas’ death in 1982, the city’s Board of Alders voted to erect a street sign in his name at the corner of Columbus Avenue and White Streets. New Alder Ron Hurd and CMT Chair Lena Largie listen to what Kelley has to say before signing off on the issue. Or Samuel D. Foster, a prominent Hill activist and former LCI liaison for whom a streetcorner was dedicated last October. Catherine “Cathy” Sutton Dawson, chair of the state NAACP’S health committee and a Maternal and Infant Health outreach worker at Yale-New Haven Hospital. Bishop Clinton and Pastor Julia McCarter, a husband and wife team that founded and led Deliverance Temple Pentecostal Church for decades. Behind each sign, said Kelley, there are stories upon stories waiting to be told, history waiting to be uncovered. Working largely on her own, Kelley is reaching out to several extended family members of the historic figures, in hopes of gathering portraits, photographs, and biographical information directly from the sources. So far, she has provided the families with consent forms for the banners, and said she is waiting to hear back with further information. At the meeting, Hill North Chairperson Lena Largie said she was enthusiastic about the project, but refused to sign a letter of intent from Strong Cohen LLC “until we have more information.” She said she would be open to finalizing the project as early as next month. Kelley said she’s not concerned about the team’s ultimate approval, and will continue with the project. 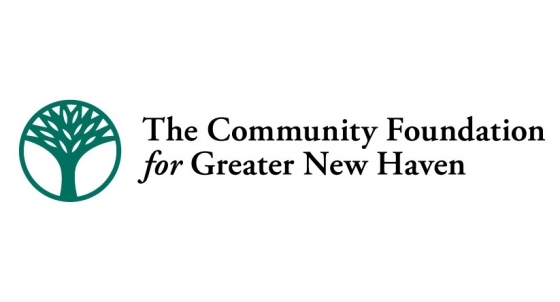 A similar initiative is on the table for the Courtland S. Wilson branch of the New Haven Free Public Library (NHFPL) ,which turns 12 years old this year. Since its dedication in 2006, Community Management Team member Lynda Wilson (no relation) said there has been no sort of signage or marking about who Courtland Wilson was. She is now seeking to work with Wilson's daughter, who lives locally but is currently out of the country, and City Librarian Martha Brogan to fix that within the year. As the team was finishing for the evening, she said she would keep them posted on library developments.